Mark Fisher's passion for trading began at a very early age. At the age of 12, he landed his first job as a runner on the floor of Commodity Exchange. While attending University of Pennsylvania’s Wharton School of Business, Mark Fisher moonlighted as an independent member of New York’s COMEX. At the age of twenty-one, he was the youngest ever to trade in the silver futures pit. While attending college, Mark started researching ways to improve his trading. Combining the ideas from his academic research and his real world trading experience, Mark Fisher developed the principals for his ACD Methodology. The basics of the ACD Method are plotting particular price points in relation to the opening range. It shows reference points against which to trade the "A" and "C" points for entry and the "B" and "D" points as stops. The ACD method calculates the prices above which you'd want to be long and the prices below which you'd want to be short. As long as there is sufficient volatility and liquidity in the market, you can use the aggressive nature of ACD trading style to maximize position size while minimizing your risk. The principals of the ACD Method are well suited for the aggression that is required when the market is in disequilibrium. You want to be aggressive when the market is trending. You want to buy as much as you can while the market is trending up or sell as much as you can while the market is trending down. I like to use the ACD Methodology when the market is in Vertical Development. It switches me over from a passive nature of fading the market used in Market Profile trading to an aggressive nature of hitting the bids or lifting the offers. Instead of waiting for the market to come to me, I go to it. When the market is trending, you don't want to be a liquidity provider, you want to be a liquidity taker. ACD Methodology is good at getting you into the right frame of mind for trading this type of market. You want to get amped up. You are competing with other traders and you want to get your positions before they do. There are three common mistakes that I seen with new ACD practitioners. The first is that they apply ACD Methods all the time. You cannot do this. You only want to switch over to the ACD Method when the market is trending. Otherwise, you will be frustrated with your stop losses. The second mistake is that they use the opening range as a trigger price to enter a trade. They write simple computer codes like when price breaks the opening range high, buy it or when price breaks the opening range low, sell it. Don't use it that way. Use it as a way to set your bias for your trading, not as a buy/sell entry point. The third mistake is not knowing where you are wrong before you enter a trade. 1. Plot point A’s and C’s as points of reference. 2. Lean against these reference points as you execute your trades. 3. Maximize your size when the trading scenario is favorable. At all times, minimize your risk. 4. Know where you are getting out if you’re wrong. 5. If you can answer 4, you will trade with confidence. A price level set at a specific number of ticks away from the opening range that is determined by the A values for a particular stock or commodity below the bottom of the opening range. This is an entry level to establish a short bias. A price level set at a specific number of ticks away from the opening range that is determined by the A values for a particular stock or commodity above the top of the opening range. This is an entry level to establish a long bias. For the most part, it is a time frame based on an opening of a given market. It is used as an area of reference throughout the day. However, ACD Opening Range is not a static time frame. The trading action dictates when a opening range is to be established for the day. For example, if your normal opening range starts at 9:30am ET, you must adjust it to start at 8:30am ET on the days Unemployment Report comes out. The Opening Range time frame is not static. It should move according to where traders are coming into the market. The Opening Range can be moved to an earlier time like on Unemployment Report days or it can be move to a later time on FOMC Meeting Days where the Opening Range starts at 2:15pm ET. 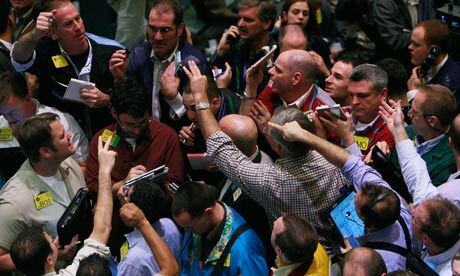 This is when traders comes into the market to establish their positions. A price level set at a specific number of ticks away from the opening range for a particular stock or commodity below the bottom of the opening range. This is an entry level to establish a short bias. A C-Down can be made only if the market has previously had a confirmed A-Up. A price level set at a specific number of ticks away from the opening range for a particular stock or commodity above the opening range. This is an entry level to establish a long bias. A C-Up can be made only if the market has previously had a confirmed A-Down. The daily pivot range is calculated based upon the high, low, and close of the previous trading day. The ACD system identifies this price range as the meat of the market from the previous trading day. This is Mark Fisher's way of saying Value Area. A failed point A set up can occur based on one of the two following scenarios: (1) the market may approach a Point A value and fail to trade at that value, subsequently reversing its direction and trading back into the opening range. Or, (2) the market may approach a Point A value, trade at that value and even potentially through it. However, it does not stay at the Point A value for at least half of the ACD opening range time frame before reversing its direction and trading back into the opening range. If the pivot range proves to be strong enough support or good enough resistance to stop the market at or near a Point A value, the result is a failed A against the pivot. For example, a failed A-Up within the pivot range confirms resistance in that area and increases the likelihood of success if a short position is established at that level. Conversely, a failed A-Down within the pivot confirms support at that level and increases the likelihood of success if a long position is established at that level. A failed Point C setup can occur based on one of the following scenarios: (1) the market may approach a Point C value and fail to trade at that value, subsequently reversing its direction and trading back into the opening range. Or, (2) the market may approach a point C value, and then trade at that value and even potentially through it. However, it does not stay at the Point C value for at least half of the ACD opening range time frame before reversing its direction and trading back into the opening range. A failed C against the pivot generally occurs under highly volatile market conditions. The market attempts to reverse its bias at Point C, but runs directly into the meat of the market from the previous trading session, otherwise known as the daily pivot range. The market snaps like a rubber band off this area and reverses back towards the opening range, providing the trader with a clear point of reference at the failed C level. Fear and greed are the two key ingredients that every trader needs to possess in the right combination in order to be successful. A trader must be greedy and willing to press winning trades and maximize market opportunities. A classic trading scenario that allows the trader to combine the ACD system with market psychology. This setup requires an anticipated directional move by the market based on new fundamental developments. However, for reasons that bewilder most traders, the market fails to technically respond to that news in the anticipated direction. An Island Reversal Formation occurs when the market has a fake-out to the upside or the downside, gapping lower the day after previously gapping higher (or vice versa). This is the Rolls Royce of all ACD system trading scenarios. This setup’s high probability of success, coupled with its very low risk, make it extremely attractive. The trade works best if it occurs late in the day, trapping speculators who feel they must liquidate by the close. The concept of maximizing size and minimizing risk is a vital ingredient to any successful trading strategy. The ACD methodology applies this concept in identifying trading scenarios that utilize low-risk reference areas such as the opening range, pivot range, and other ACD areas. This macro ACD indicator can be utilized by longer-term traders to help them identify when to exit trades. In the ACD system, momentum is used to clearly show who the winners and losers are in a market over a specific period of time. This ACD tool compares the close of the market today in relation to its close eight days ago to determine whether the shorts or the longs have the upper hand. The main purpose of the number line is to identify a potentially developing trend. That generally occurs when the cumulative sum of the past 30 trading days based on macro ACD goes from a 0 to a +/- 9, a level it must maintain for two consecutive trading days in order to be considered significant. A much simpler approach that I use is counting the number of support and resistance levels. When the market continues to go up, you see the number of support levels increase and the number of previous resistance levels decrease or become non-existent. You can count that as your number line. When the Market gaps open, above or below the daily pivot range, and never trades into the daily pivot range from that day, a pivot on gap day has been established. That pivot on gap day level becomes critical support or resistance for future trading sessions. Point B is the price at which your bias shifts to neutral. Once a Point A (up or down) has been established, your stop is now Point B. The B level is the bottom of the opening range for an A up, or the top of the opening range for an A down. Point D is the price at which your bias shifts to neutral and is your stop after the market has already established a C in one direction. Once Point D has been hit, the trader has been chopped up enough for the day and should walk away from the market for the rest of the trading day. The cornerstone of ACD is the concept of where to get out if you are wrong. ACD provides traders with reference levels to lean against to minimize their trading risk. The rolling pivot range, usually spanning three to six trading days, acts as a reference point for entering and exiting trades. ACD uses the rolling pivot range as a trailing stop for winning positions. It also provides traders a point of reference to quickly exit losing positions. One of its best functions is that it helps prevent a trader from turning winning positions into losing ones. This ACD setup relies upon divergences occurring between market price action and human sentiment. This trade tries to catch traders who don’t believe in recent market price behavior and who have faded the recent move. This setup alerts the trader if the market gaps away from these traders and tries to capitalize on the ensuing panic liquidation that inevitably takes place. The ACD methodology is based upon the premise that the opening range of each day’s trading session is statistically significant. In layman’s terms, this means that the opening range is not like all the other 5- or 10-minute intervals of the trading day. Rather, the opening range is the statistically significant part of the trading day, marking the high or low for the day (in volatile markets) about 20 percent of the time. This concept directly refutes the random walk theory. In trading, time is actually a much more important variable than price. When determining whether you have made a good A-Up or a good A-Down, it is much more important how much time the market spends at that level than at what price it trades. Unsuccessful traders tend to rely too much on price and not enough on time when entering or exiting the market.